Rosario Harte,Ballinacarriga,Angela Fitzgerald,Court and Margaret Fitzgerald,Mellon. Sympathy is also offered to George Cahill, his son and daughter and other relatives on the death of Vera, nee Kennedy, wife and mother. 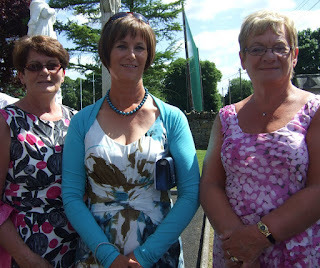 Funeral took place to Cappagh Cemetery following Requiem Mass in St. John the Baptist Church, Cappagh on Wednesday, July 14. Congratulations to Theresa O’Carroll of Court, who successfully completed her medical course at Trinity College Dublin. The new M.D. is daughter of Ann and Billy who attended the Graduation on June 28. 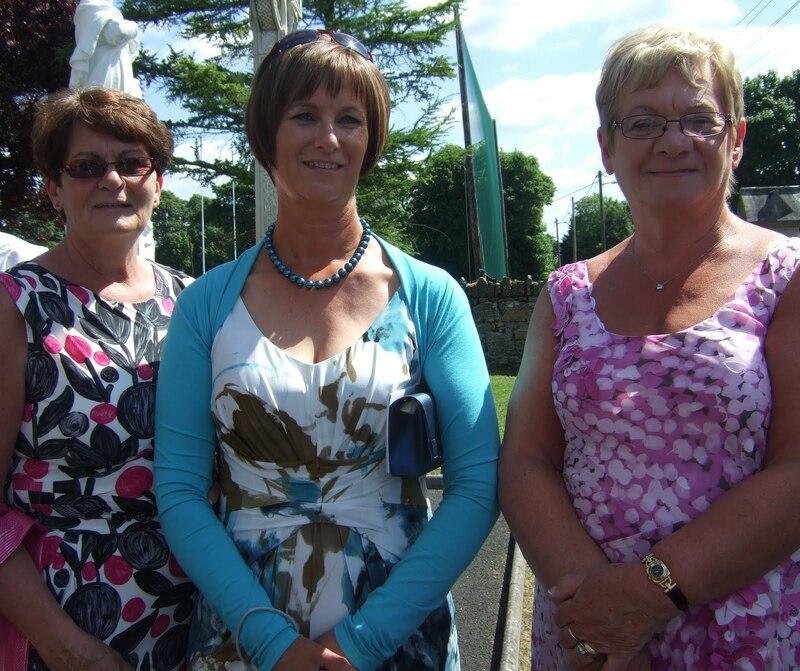 She received her early education at the local Kildimo National School and the Crescent Comprehensive College and is presently completing her internship at St. James’ and Tallagh Hospitals. Always of a competitive spirit, her former members of Community Games where she excelled in Rounders and other games. If you’re interested in hosting an event during ‘Know your neighbour weekend’, then the information pack available from info@knowyourneibhbour.ie will help. You may also text KYN followed by a space and your name and address to 51444. The pack includes posters to publicise the event, a booklet of invites to your event and personal stickers of introduction. Macra who are sponsoring ‘Know your Neighbour Weekend’, on July 24/25, will gladly and promptly supply you with a pack. Nuala Kavanagh of Glenameade has many bookings that weekend to host her very successful in house ‘Cookery demos to Eat’ as a means of easing neighbourly introductions. The A.G.M of the club will be held at 8.30pm on this Thursday July15, in the Library in Kildimo. A good attendance is anticipated to continue the ongoing work of the club. with up to 40 team’s competing. In spite of the wet conditions there was a great turn out for this enjoyable occasion. Details of entries should be given to Fed PRO Phyllis O’Halloran not later than this Friday July16 for inclusion in catalogue. On Tuesday July 6, the Numbers drawn were 3, 4, 17 & 28. Because no punter predicted this combination, Lucky Dips of €20 each were drawn by Tríona, Luke and Gerry Griffin, Ballynacarriga; Mary Rogan, Ballyculhane; Paddy Kelly, Ballyvareen; Michael Coughlan, Court and Catherine McCauley also of Court. Your €2 ticket to win a Jackpot of over €6,30 is available from the P.O., De Bucket, Slattery’s, Seven Sisters and Dromore Inn. Support your local community lotto. If you’re one of the 50% who doesn’t claim their legitimate tax relief on medical/dental expenses, then you might appreciate the reminder from the third issue of ‘West Limerick Local’, page 6. Such reliefs may be claimed for the past four tax years, which are 2006 – 2009. Medical expenses include doctors and consultants fees, prescriptions, laser eye surgery, IVF treatment and nursing home expenses for relatives and many more. Bridget writes regularly in the above booklet and she may be consulted on 069 69373/087 6916387 or on her website, www.knowyourtax.ie. Camp Bosco is currently in progress until Friday July 23. A European Pool Lifeguard Course is taking place in Copsewood Pool from July 10 from 10am to 4pm. and have attained Rescue 2 or Rescue 3 from the Irish Water Safety Syllabus. Further details from Kate O’Hara on 085 1407415. Salesian Secondary College School Review Magazine is for sale in the school office. An t-Ionad Glas organic horticultural College in Drumcollogher, are having an ‘Open Day’ at their premises on Sunday July 18, from 2.00 to 5.00 pm. Admission is free to view their environmentally-friendly gardens and sample the many products of their labours. This is a timely invite when interest in ‘back to the soil’ is a topical subject. The College has a website for interested browsers at www.organiccollege.com. or call 063 83604 during office hours.